Changes we are getting used to and loving are the LED’s. Growing up, we knew how much light we would get from a 40 or 75 watt incandescent bulb. 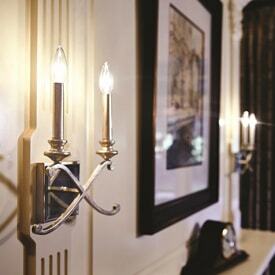 In our world of LED’s, it only takes an 8 watt to provide 40 watts worth of illumination. We don’t go by wattage anymore. The term ‘lumens’ is now the unit of measure. If you want 40 watts worth of light, you will want an LED that produces 450 lumens. If you want 75 watts worth of light, you will need 1,100 lumens. 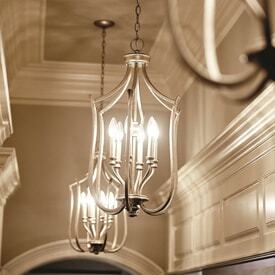 At Nancy B’s House of Lights, you will see many types of LED fixtures and bulbs. We offer the basic medium base, candelabra, vintage, flood, recessed, tubular, G (globe) and many specialty bulbs-all in LED’s. The savings on your electric bill and the life of these bulbs are sure to make you smile. 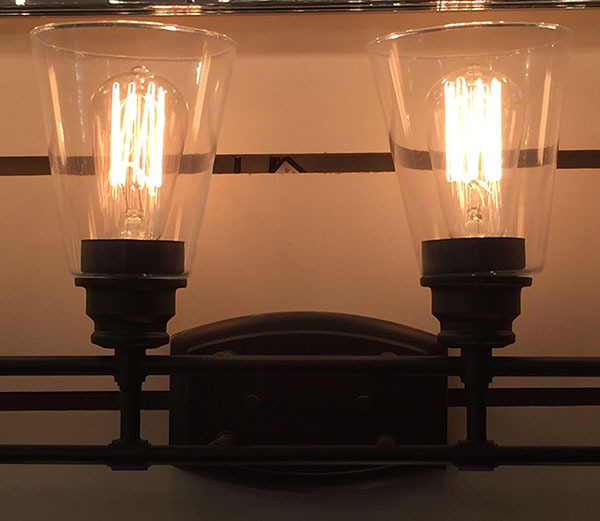 The vintage or Edison bulb is hot, hot, hot right now and looks wonderful in clear glass pendants, bath bars and exterior fixtures. 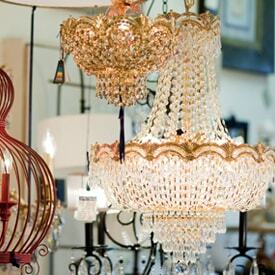 With these, you can turn into light into “Vintage Lighting”. 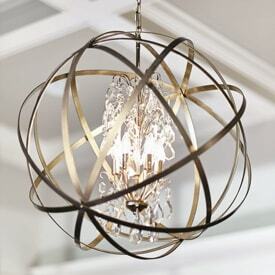 Showing off a new, fresh and stylish fixture with the old look of vintage bulbs makes quite a statement. Vintage doesn’t mean old anymore. An oxymoron is a word or phrase that contradicts itself and I think this applies to our vintage LED’s. They are awfully good! Try them, you will love the look!